“LEGO” means “play well” in Danish, and this brand’s play-sets have always been a fun yet relatively expensive toy. 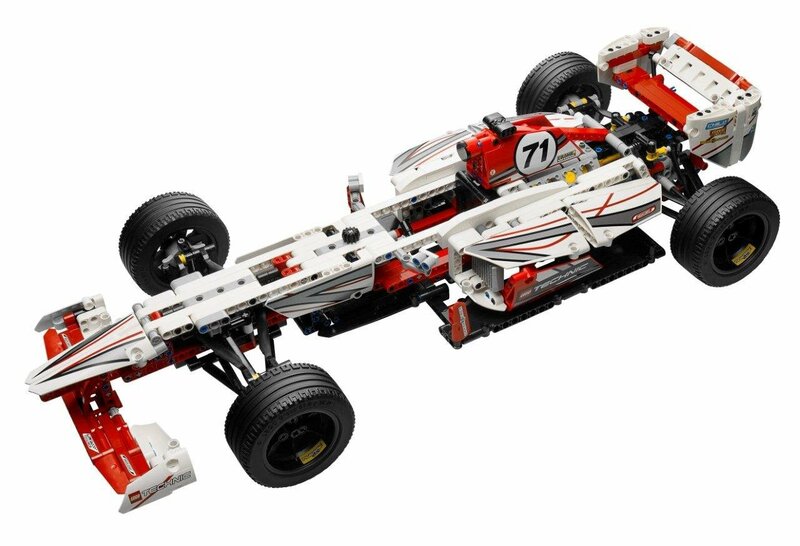 The following sets are not your average LEGO models and are extremely coveted by fans. 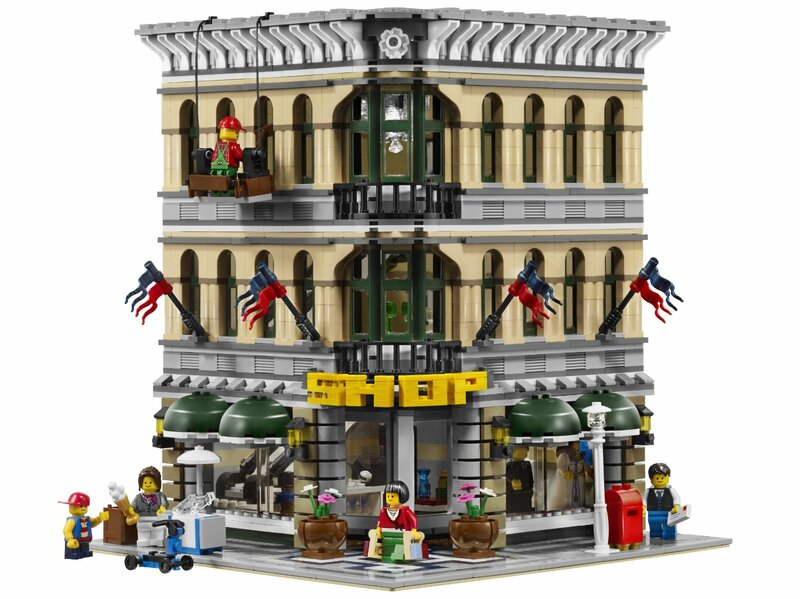 Some of these sought-after sets are based on famous movies and many of them are just classic LEGO sets that were discontinued — making them extremely rare. Check them out! This royal set was designed for very experienced LEGO builders. 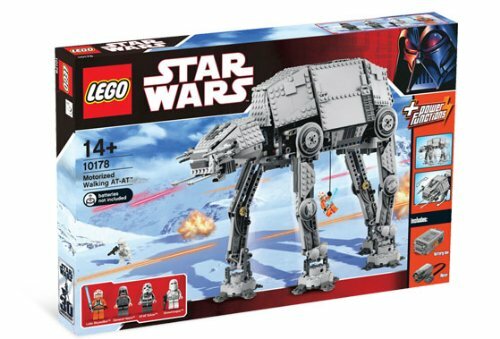 The ultra-rare model includes a whopping 5,922 pieces which includes rare LEGO elements which are not included in other sets. It has minarets, towers, arches, and domes just like the real Taj Mahal. The model measures about 16 inches tall and 20 inches wide. It’s available for about $3,700+. There’s something spooky about this LEGO set! 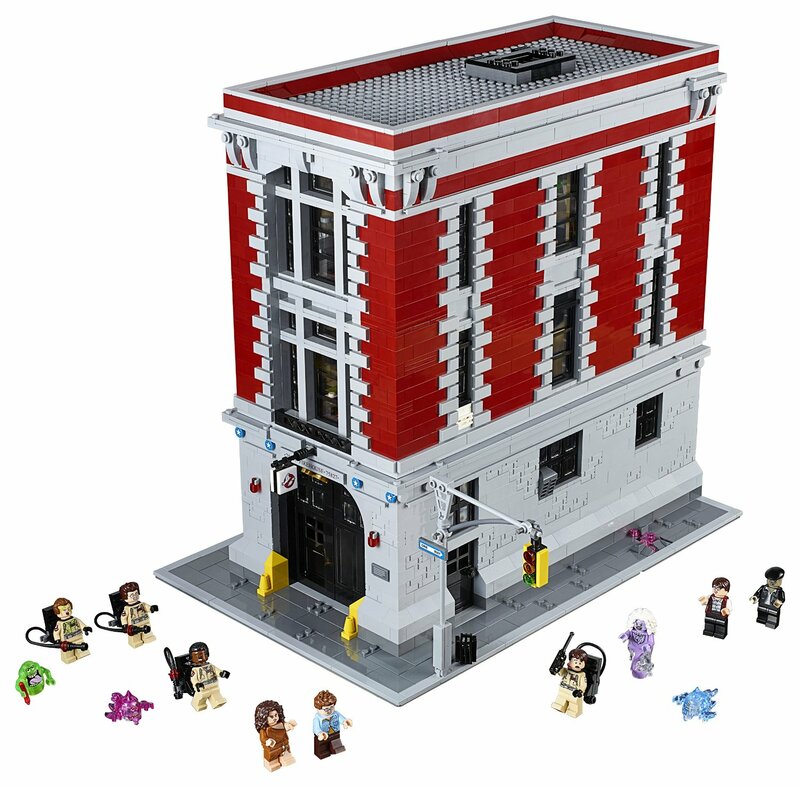 This Ghostbusters set comes equipped with 4,634 pieces, including lots of accessories. There are nine mini-figure characters such as Peter Venkman, Raymond Stantz, Egon Spengler, and more. The set includes some special LEGO pieces like jars of slime, frozen pizza, an alarm bell, magnifying glass, and even ghosts. The set is available for about $350. This sought-after LEGO set lets you recreate famous scenes from Star Wars. It has 3,808 pieces and includes mini-figure characters such as Obi-Wan Kenobi, Luke Skywalker, R2-D2, Princess Leia, Darth Vader, Stormtroopers and more. The set measures 16 inches tall and 16.5 inches wide. 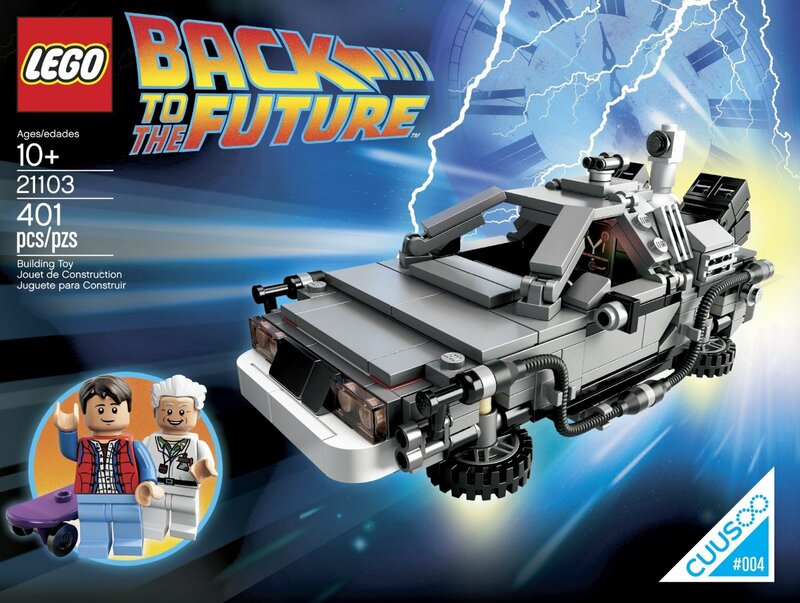 It’s discontinued by LEGO, but can be purchased online for about $475+. This classic vehicle comes from Star Wars IV – A New Hope. It has a total of 3,296 pieces and cool mini-figures such as Luke Skywalker, Uncle Owen, R2-D2, Gonk, Droid, and many more. The set has some nice features too, such as working cranes, ramps, a speeder bike, and opening panels. 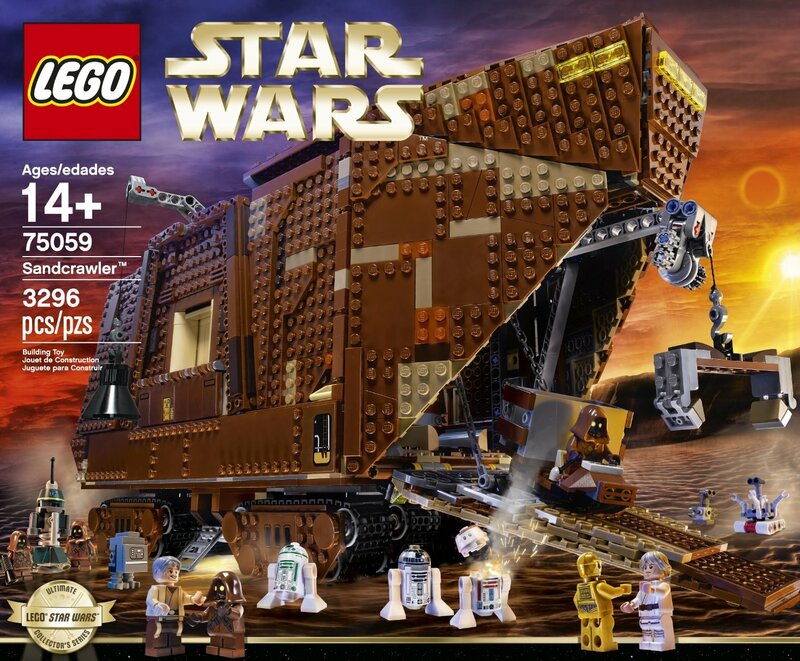 The Sandcrawler set costs about $300. 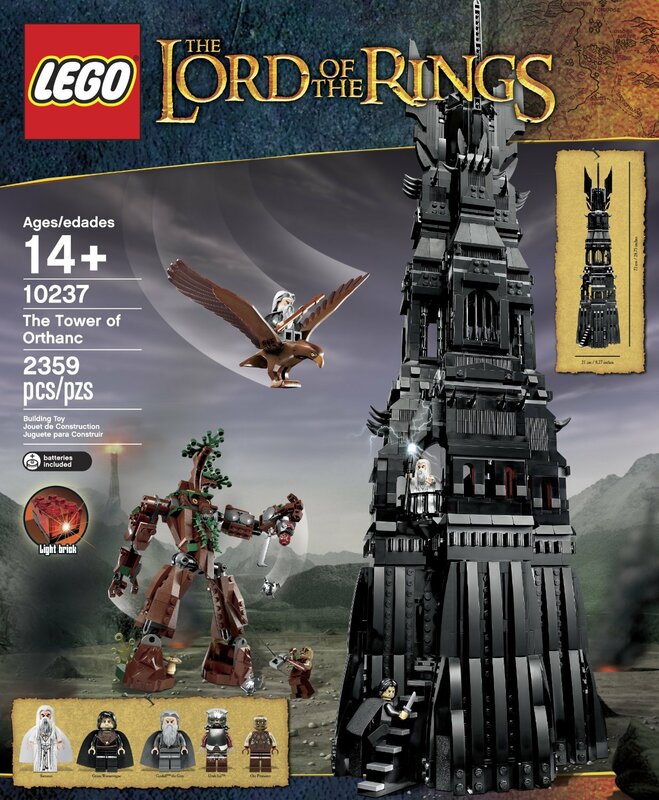 The replica of the Tower of Orthanc would be loved by any Lord of the Rings fan. It’s a huge set, measuring 21 inches tall and includes 2,359 pieces. It’s hard to build for beginners since most of the pieces are black. The tower has a total of six floors with an alchemy room, throne room, entrance hall, stair cases, and more. 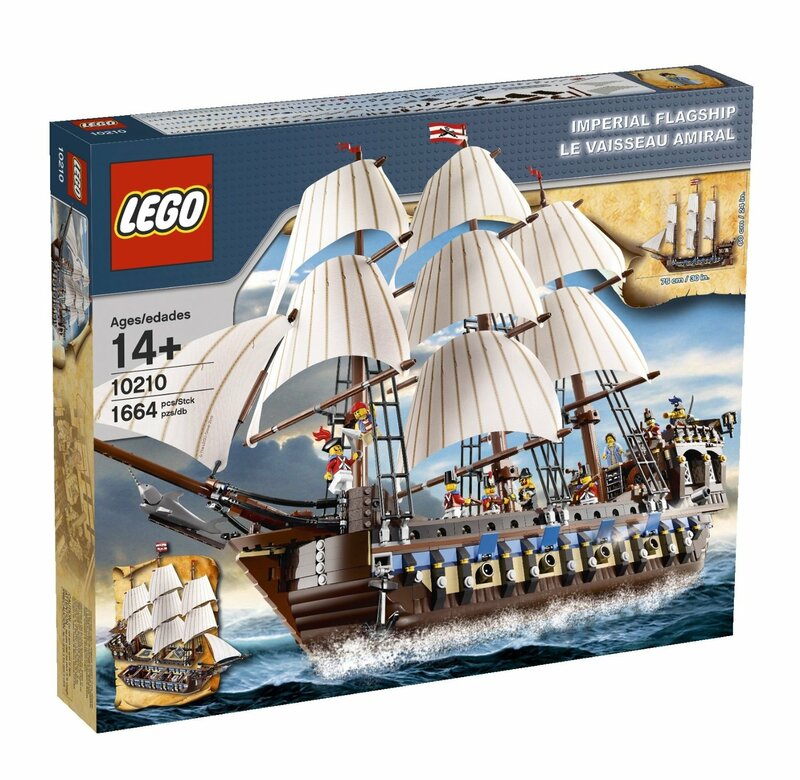 The set is discontinued by LEGO and can be found for about $240+. This is part of the LEGO architecture series and is a model of the real Robie House. 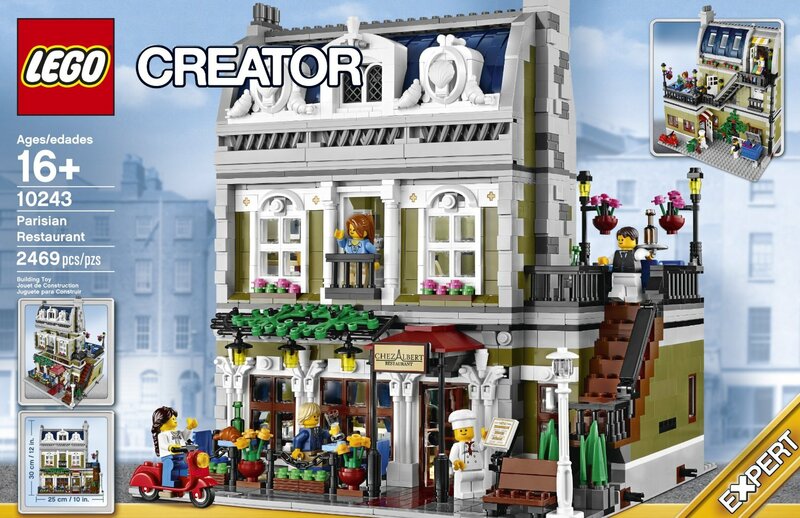 The set is extremely realistic and includes 2,276 pieces. It also comes with a booklet which tells the history of Frank Lloyd Wright’s Robie House. The set measures 4.5 inches tall and 16.5 inches wide and costs about $475. Extinguish LEGO flames! This rare set is super rare and realistic. It includes a 1930s-style firetruck, a fire dog, ladders, racks, helmets, a fire pole, and many more fun features. 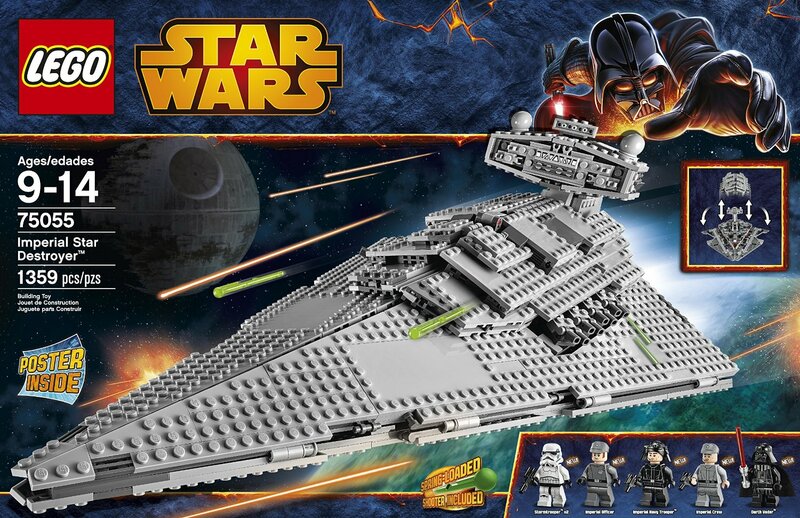 The set has 2,231 pieces including rare elements. The roof is also removable for easy play. The set is discontinued and costs around $430. 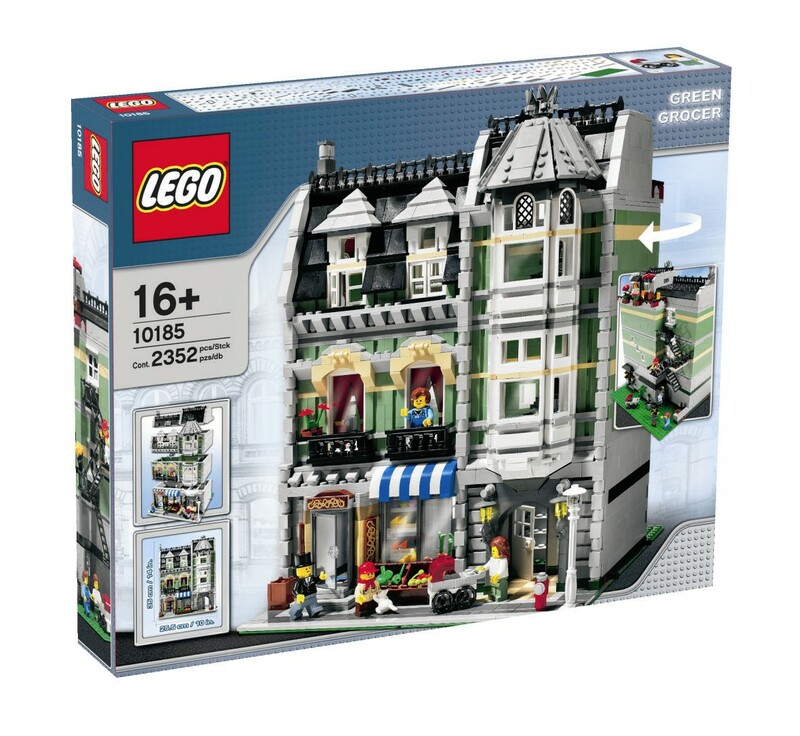 The Grand Emporium is another rare discontinued set with lots of cute details. It’s to scale of the authentic Grand Emporium and features three stories of fun. 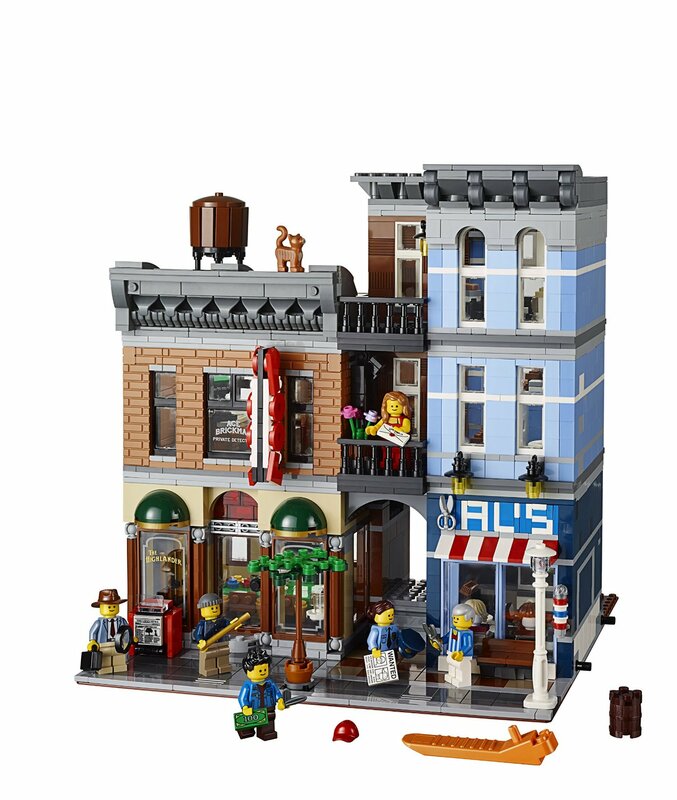 The set comes with many accessories such as toys, dishes, a mailbox, cash register, fitting room, and even an escalator! It contains 2,182 pieces and can be bought for about $275. 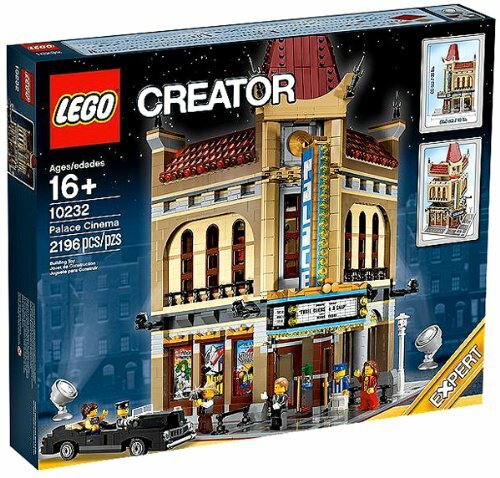 This special set comes with a complete movie theater with a movie title sign board, star-studded sidewalk, classic limo, big screen, projector, and even reclining seats! It also comes with mini-figure movie-goers and theater staff. The set contains 2,196 pieces and measures 15 inches high and 10 inches wide. It costs about $150. Who wouldn’t want a model of Homer Simpson’s favorite convenience store? 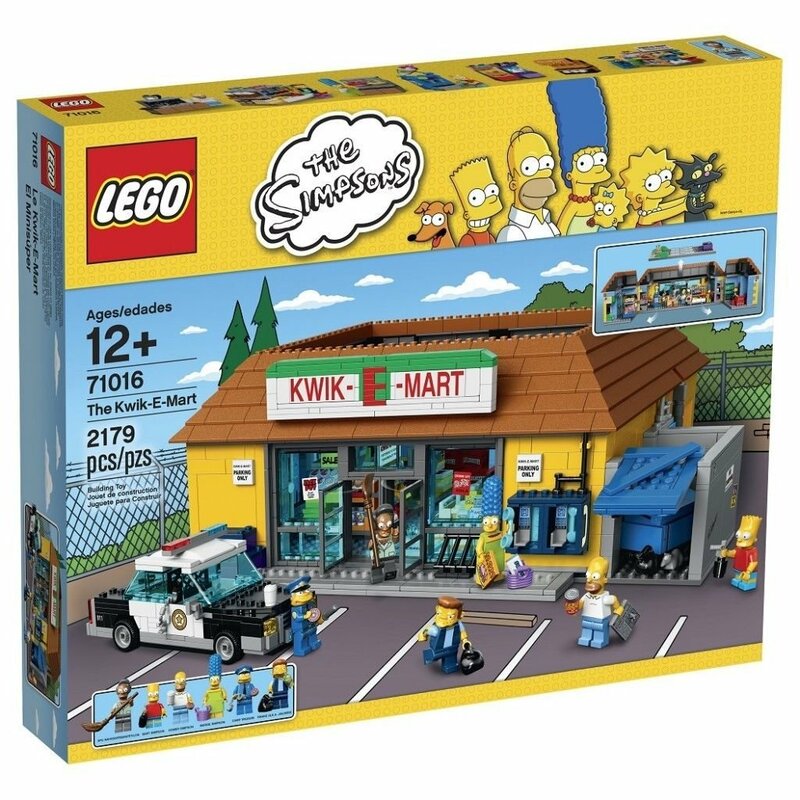 This replica of the Kwik-E-Mart contains many references to the show such as Bart’s graffiti-sprayed area, comic books, counters, Apu’s secret veggie garden, an ATM, and much more It includes mini-figures of Apu, Homer, Marge, Chief Wiggum and more characters. The set measures five inches high and 14 inches wide. It costs around $200. 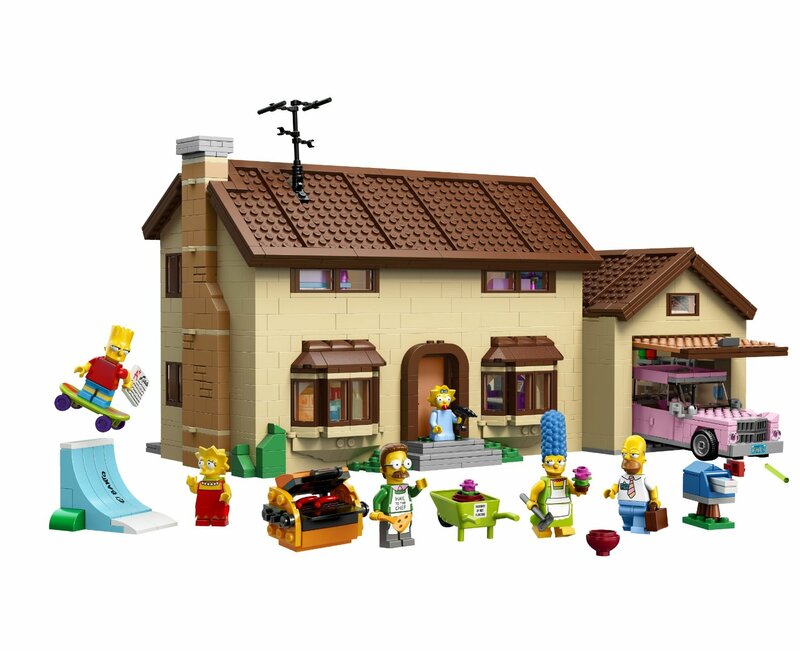 This set is enough to make any Simpsons fan nostalgic. You get to build the Simpson family home which is an actual replica of their home from the inside too! It is hinged on the side for easy play, and the roof is removable. It comes with mini-figures of the whole family too. The set measures nine inches high and 16 inches wide. It costs around $200 to get it. Even though it’s made out of LEGO bricks, it’s still pretty spooky! This monster house looks extra scary with glow-in-the-dark ghosts, Vampyre and his wife, plus many spooky details. The house has many rooms such as a kitchen, living room, potion room, music room, porch and even features boarded windows. The set is hinged and opens up for easy play and viewing inside. 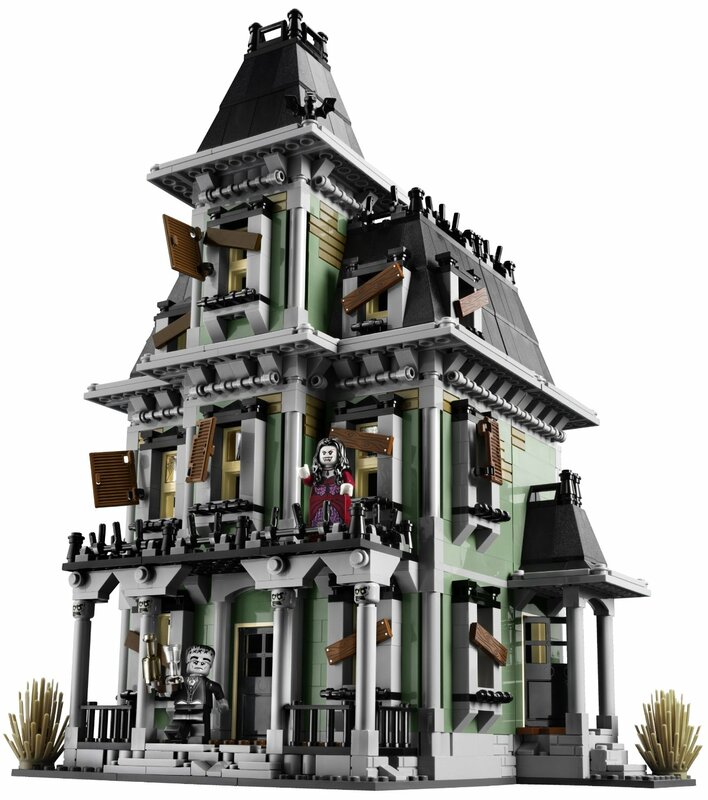 It costs nearly $500 to get this creepy LEGO house! This little café is very realistic and resembles a real-life town. It’s recommended for ages 16 and up since it’s a more advanced set which requires patience to build. The top two stories of this set are removable so that you can easily see the shops and details inside. The set includes 2,056 pieces and six mini-figure characters. The Unimog model is based on the Mercedes-Benz multipurpose vehicle. It features a real powered crane and functional grabber. It has four wheel drive, moving pistons, and can even be rebuilt into a snow plow. Now that’s a neat toy! The motor and battery box comes included. This set can be purchased for about $300. This is another motorized LEGO vehicle inspired by Mercedes-Benz. It features a real powered crane which can be lifted up to 52 centimeters high. The cab even opens up to reveal the engine. 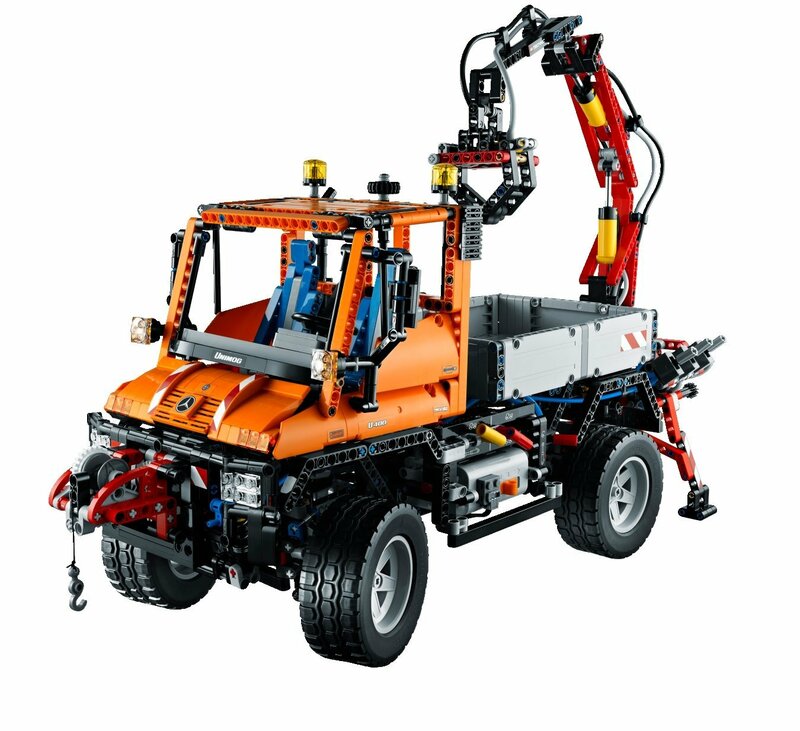 The model is two-in-one and can be rebuilt into another construction vehicle too! 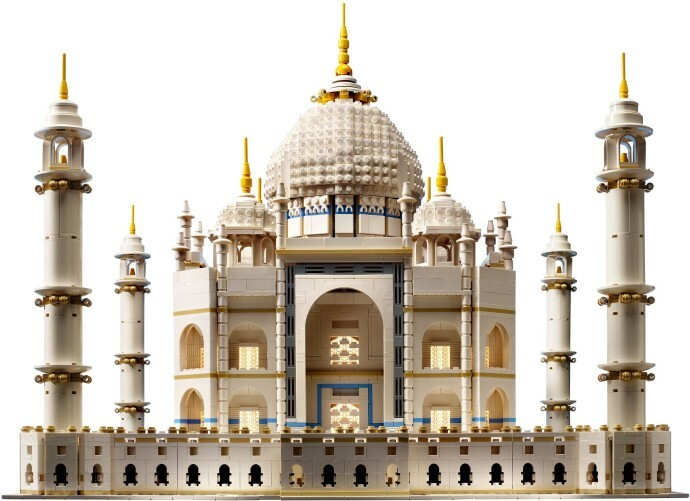 It features 2,793 pieces. You can get this truck for about $180. 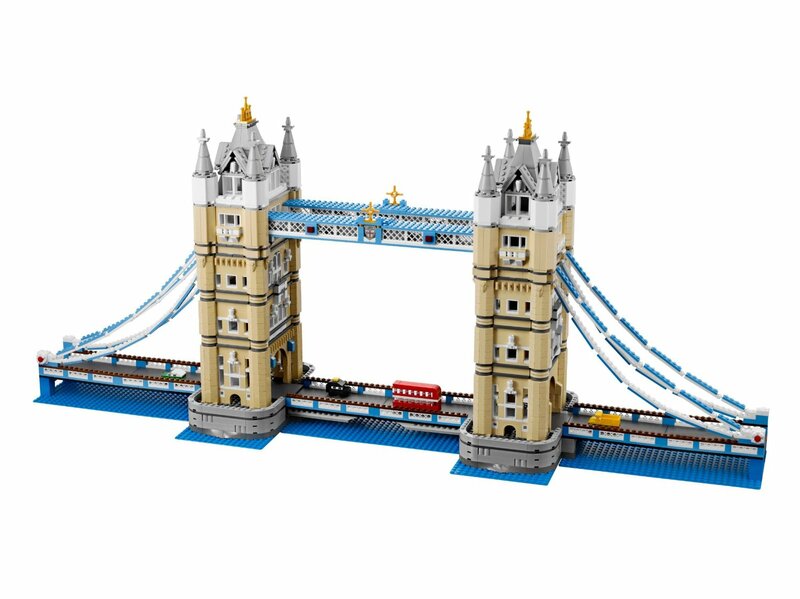 The Tower Bridge is a huge set that contains 4,295 pieces. The drawbridges really open and close. The bridge can be taken part into smaller pieces for easy transport. It comes with mini vehicles including a double-decker bus, taxi, and little cars (all are non-functional with mini-figures). The set can be found for about $240. 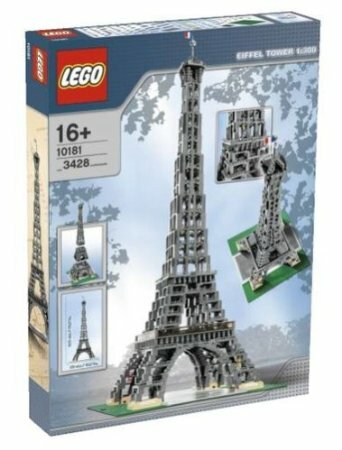 Cheaper LEGO versions of the Eiffel Tower have been produced, but this very rare replica measures at 3.5 feet tall! Believe it or not, this model is actually based off of the real tower’s blueprints. It’s built to scale at 1:300. 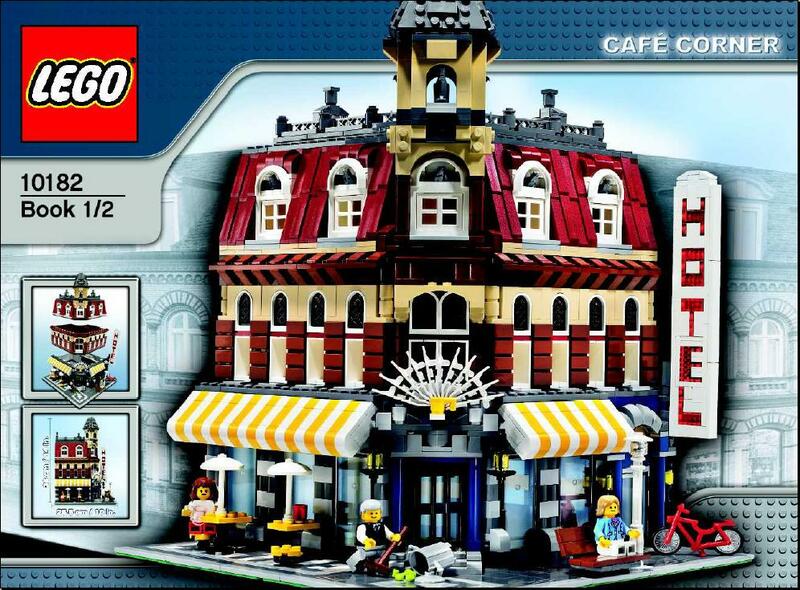 The set includes 3,448 pieces and costs a staggering $2,900! This super-rare replica of the Super Star Destroyer from Star Wars costs nearly $1,000! What makes it so special? The model is huge, measuring about 50 inches long and weighs eight pounds. It’s built from 3,152 pieces and includes mini-figures of popular characters such as Darth Vader, Admiral Piett, and several more. One of the most expensive LEGO sets around, this one can be found for about $3,000-$4,000. It includes 3,263 pieces along with nine cute mini-figure characters. The carousel is powered and really spins around, plays music, and the horses move up and down like a real carousel. The sound box, battery pack, and motor come included. The model is based on the Marvel Super Heroes. It includes the Avenger’s character mini-figures such as Black Widow, Nick Fury, Hawkeye, Captain America and SHIELD Agents. It also comes with fighter jets, a gasoline truck, and even two runways. The model is compatible with real lights and spinning rotors. It features 2,996 pieces and costs about $350. 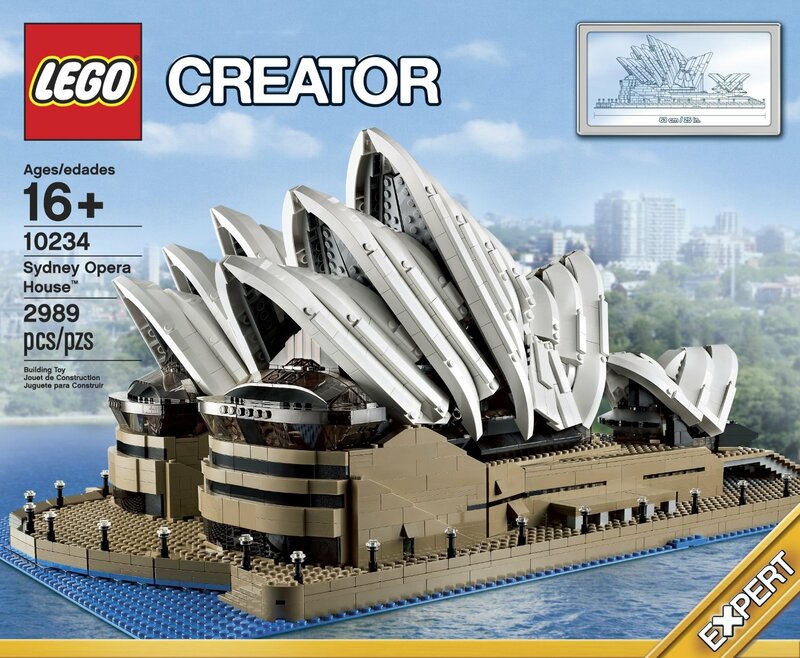 This awesome set lets professional LEGO builders recreate Sydney’s greatest architectural marvel. It’s extremely detailed and comes with rare never-seen-before LEGO elements and a blue base plate that’s not included with any other set. It measures 11 inches high and 25 inches wide. You can find this replica for about $320. This replica of Lady Liberty doesn’t come cheap nor is it easy to build! 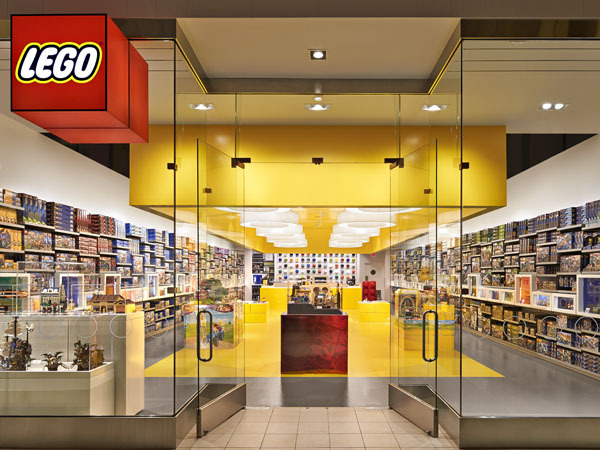 One of the most expensive LEGO sets ever, this one can be found online for about $4,750. The set is also really difficult to build, since most of the pieces are green and it uses a whopping 2,882 pieces. The set stands 2 feet, 9 inches tall and has been discontinued by LEGO. 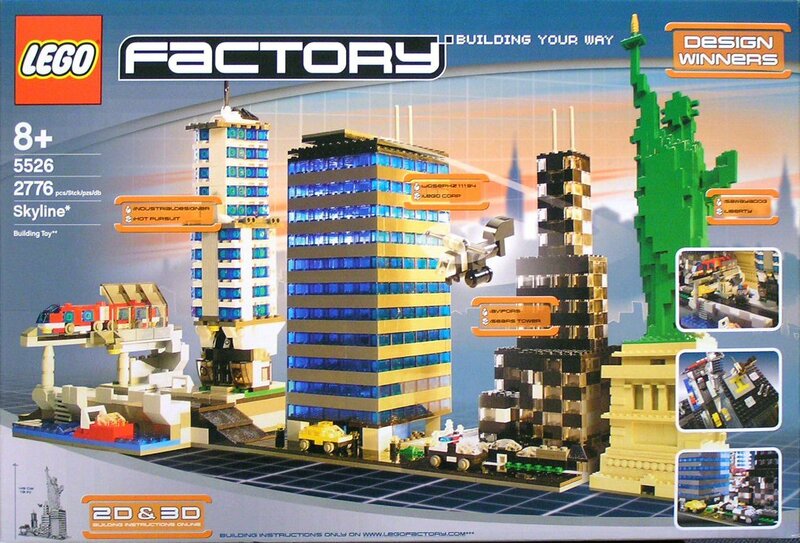 The LEGO Factory Set Skyline includes famous buildings and monuments such as the Statue of Liberty, Sears Tower, Lego Corporation, and Hot Pursuit. This set was especially created by four different designers who won a contest to have their plans featured. 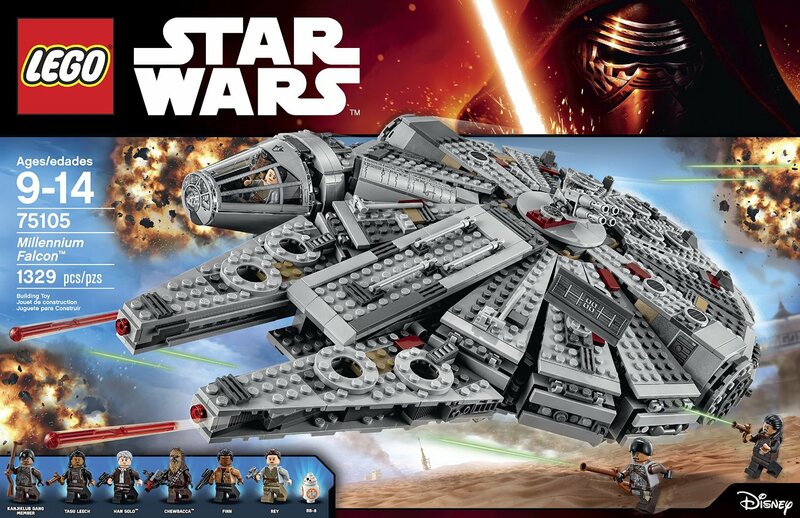 The set includes 2,776 pieces. It stands 19 inches high and costs around $850. 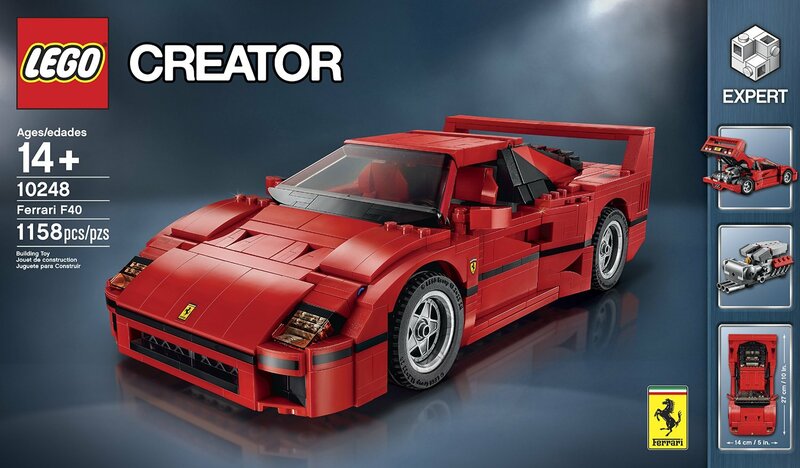 This beautiful Ferrari model is for expert builders and includes amazing details. The doors open, and so does the hood which displays a detailed V8 engine. The set also comes with rims, a turning steering wheel, and real interior. 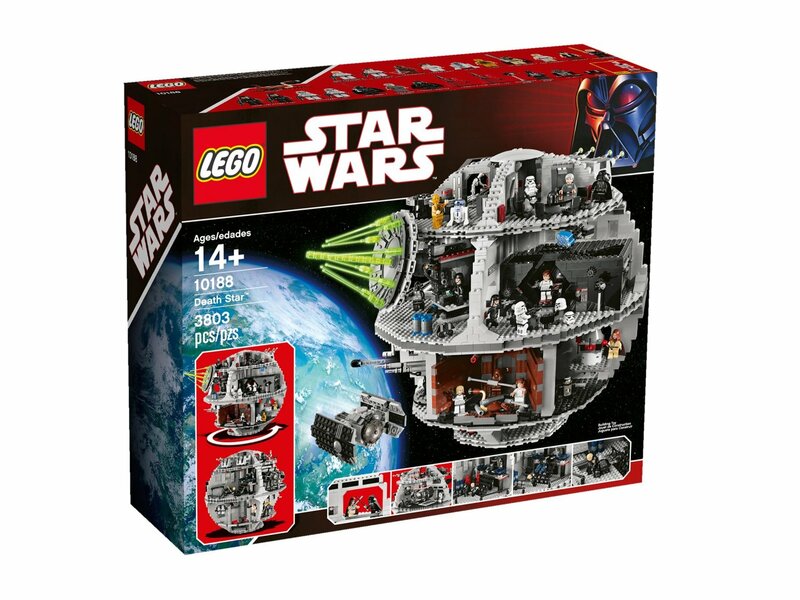 The set has 1,158 pieces and costs about $100. Feed your mini-figures something yummy at this cute restaurant! It comes with lots of accessories like a full kitchen, cups, dishes, and even a fireplace. The upstairs is an artist’s studio with paintbrushes and more tiny art supplies. It comes with mini-figures too such as a couple, chef, waiter, and more. The set costs about $160 and has 2,469 pieces. 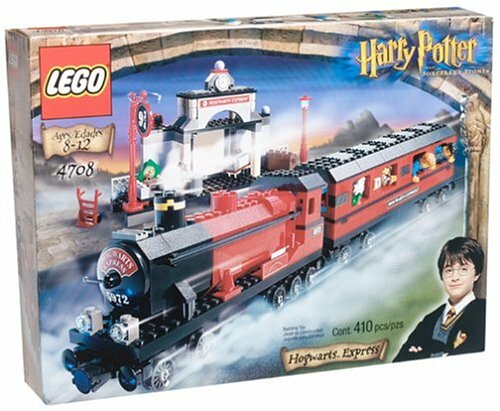 This classic was the first ever model of the Hogwart’s Express train that LEGO came out with. With this set you can recreate scenes from Harry Potter and the Sorcerer’s Stone. It comes with opening luggage compartments, the car where the mini-figures can sit, luggage carts, Platform 9 ¾, and many accessories with references to the movie. The set costs around $219. 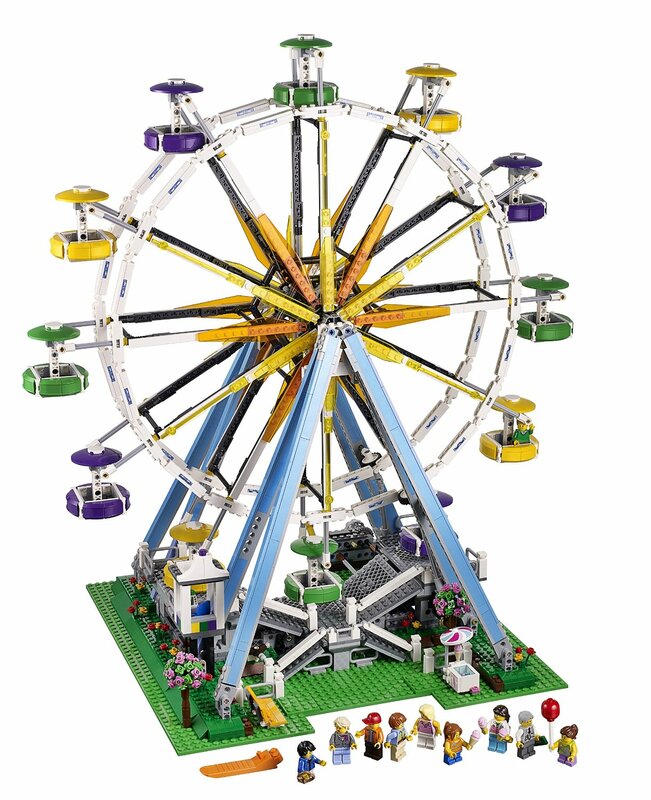 There’s lots of fun at the LEGO Ferris Wheel! The Ferris Wheel can be motorized with a battery box (which is not included) or you could turn an included crank to make it go round and round. It comes with lots of accessories such as tiny ice cream, pretzels, and lots of mini-figures. This playset costs about $200. The Green Grocer features three floors which actually open up to view and play. It comes complete with a grocery store downstairs packed with accessory grocery items, and apartments upstairs. This is a great set to have if you’re building your own LEGO town. The set has 2,352 pieces and can be found online for about $800-1000. Create your own space action scenes with this amazing replica of the Millennium Falcon! The ship is super detailed and even has secret compartments. It comes with Hans Solo, Chewbacca, and many more popular character mini-figures. It measures 18 inches long and 5 inches high and has 1,329 pieces. The set can be found for about $150. 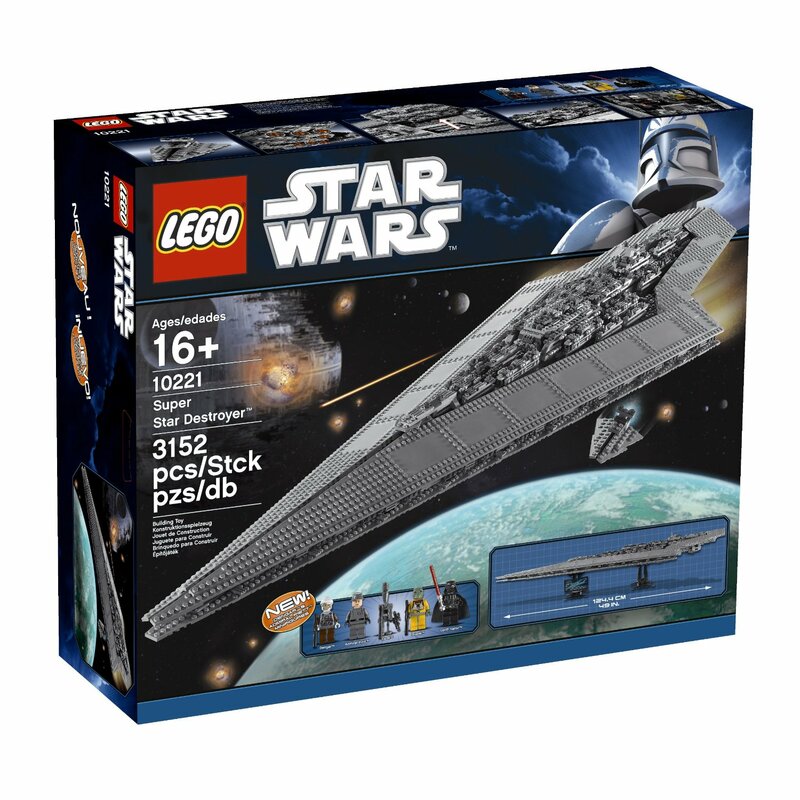 Another Star Wars classic, the Imperial Star Destroyer is a super rare set which was discontinued by LEGO. It comes with Darth Vader, Storm Troopers, Navy Troopers, and more cool mini-figures. It’s a large replica, measuring about 19 inches long and 12 inches wide. It has 1,359 pieces and costs about $200. This guy is motorized with actual batteries and really walks! AT-AT includes a battery box and really moves its head up and down and walks around. It has rotating lasers, and a cockpit that really opens too. It’s pretty big at 12 inches tall and 14 inches long. The set can be bought for about $500-700. 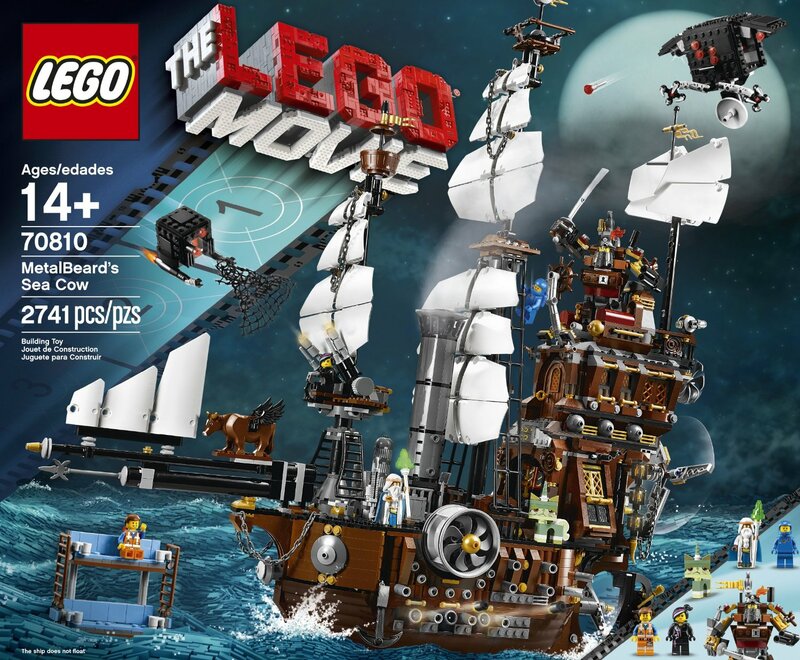 Zoom through the seven seas on this mighty LEGO ship! The Imperial Flagship is extremely realistic and includes: cannons, a kitchen, a prison chamber, treasure, and even a real working anchor. It comes with many mini-figures such as the captain, his daughter, pirates, and a prisoner. 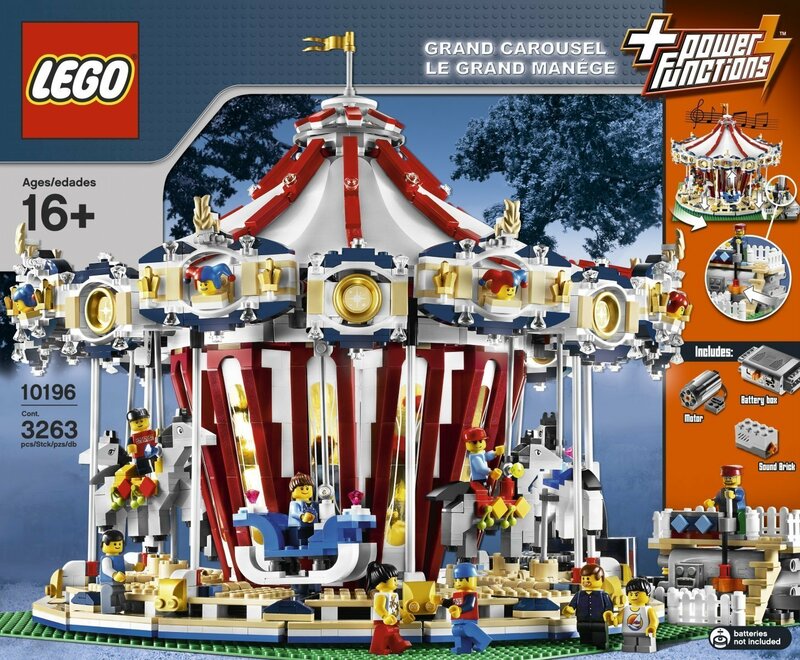 The set contains 1,664 pieces and costs about $820. 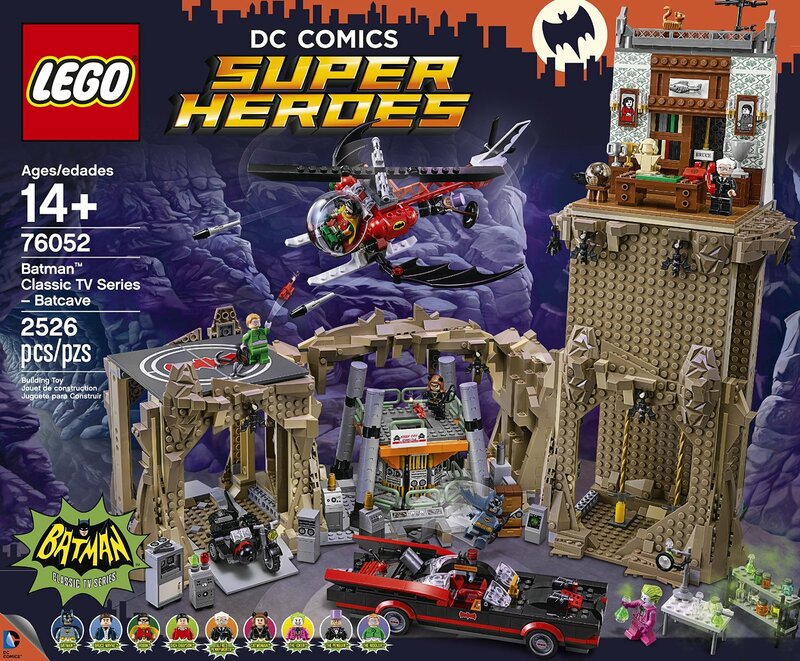 The Classic Batcave is based on the 1960s Batman series. It includes 9 mini-figures such as Batman, Joker, Robin, and other characters from the series. It comes with many of Batman’s gadgets, the Batmobile, and even a helicopter. This collectible has 2,526 pieces and costs around $260. 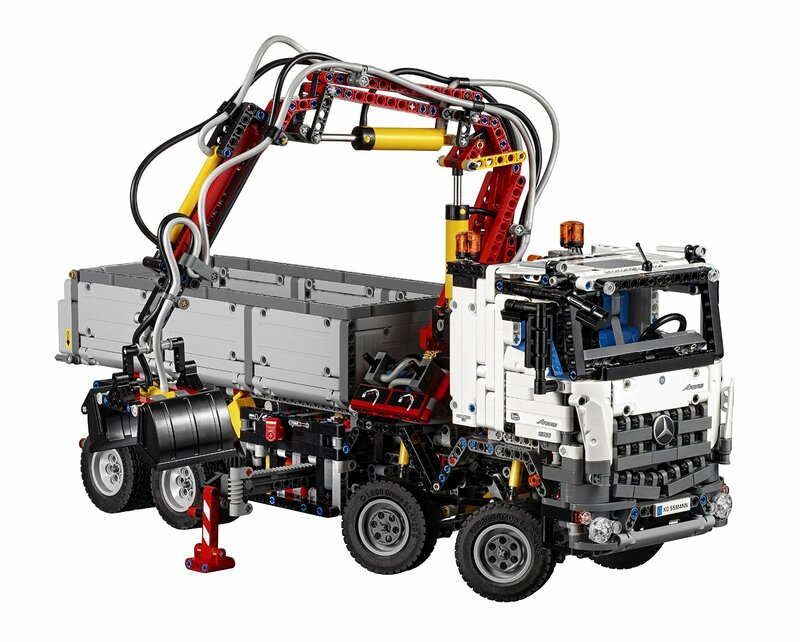 This racer comes from LEGO’s technic series and is a two-in-one model that can be rebuilt into a truck. The engine cover opens to reveal the V8 engine and the set can be motorized (motor is not included). The car measures about 17 inches long and can be found for about $240. This is a great set for Formula 1 fans! Turn back time with this super nostalgic set! The Back to the Future time machine car has real opening doors, wheels, and even Marty’s skateboard. The car is customizable so that you can replicate scenes from the movie. 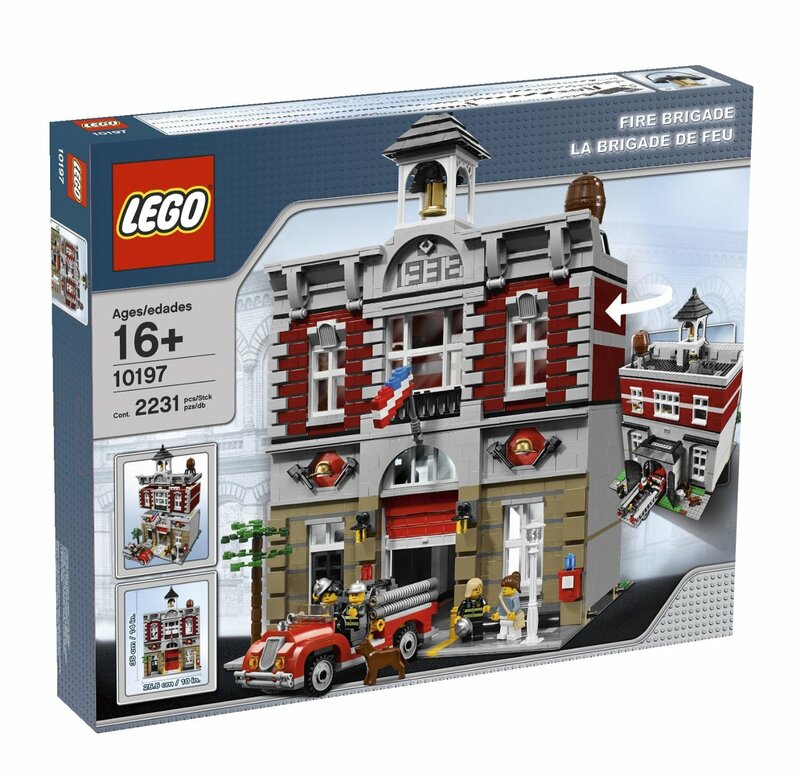 This classic set costs around $120 and has 401 pieces. Any little girl would love this cruise ship! 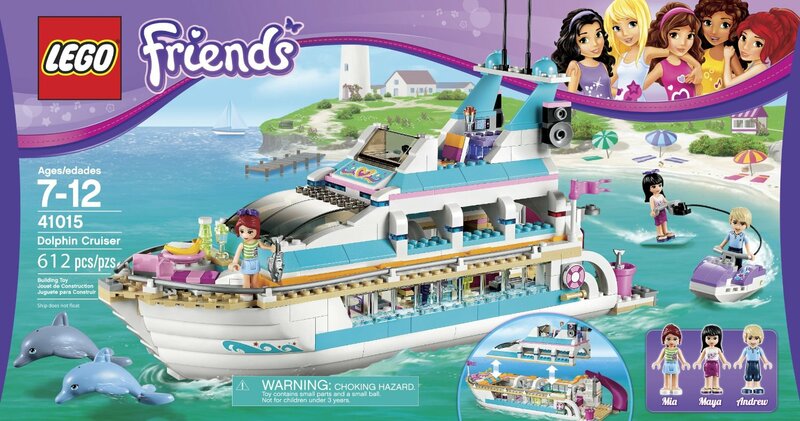 The ship is part of the LEGO Friends series. It is extremely detailed and has many rooms including the captain’s room, a bedroom, bathroom, living room, kitchen, bars, a lounge, and much more! Rather than mini-figures, it comes with LEGO Friends dolls. This set can be found for about $80-100. This colossal LEGO airplane is great for any experience LEGO fan. It contains 1,197 pieces with an included stand to display the plane. The model is based on the exact building plan of its real counterpart. Its wingspan is 27 inches, so it’s a pretty large model. It can be found for about $800. Welcome to futuristic LEGO! This remote controlled robot is programmable on your phone, tablet, or PC. It comes with built-in WIFI connectivity, an ARM9 processor, and a Micro SD card reader too. The robot is completely controllable and can be rebuilt into different shapes. 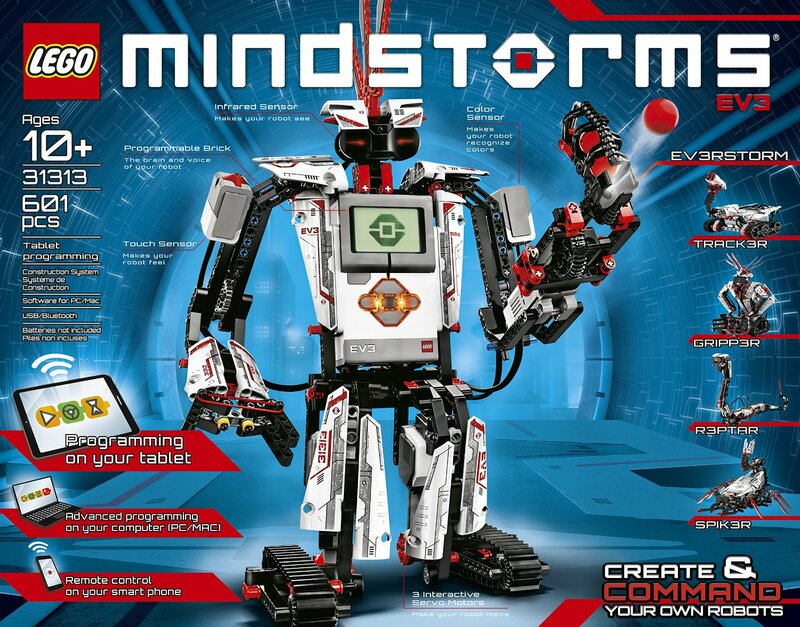 The robot costs around $350 and has 601 pieces. This awesome ship was shown in the LEGO Movie. You can recreate your favorite scenes from the movie with this detailed set. It’s a collectible ship that comes with turbines, cannons, pirate mini-figures, treasure chests, and many more accessories. 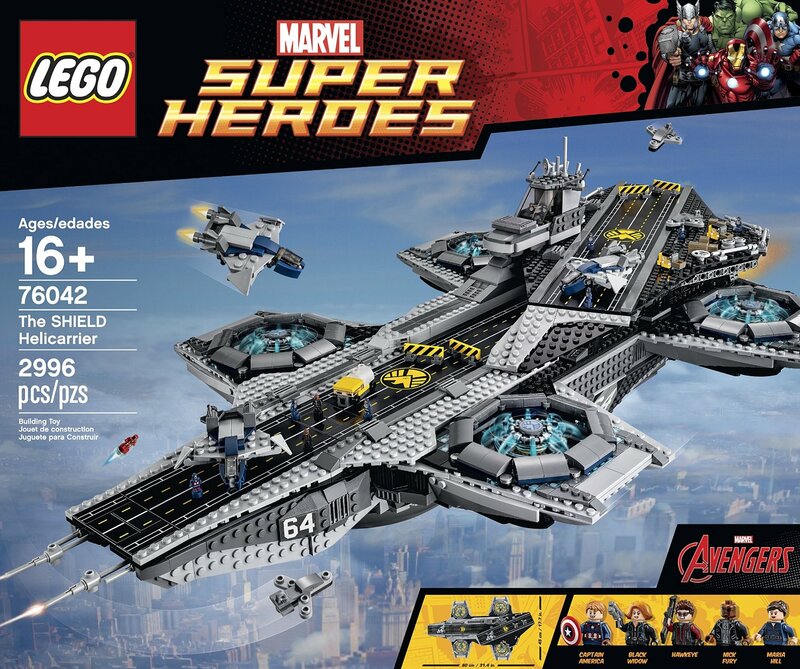 The set has 2,721 pieces and costs around $360.